Stop number two on the Bankhead Highway barbecue run was at Jones Bar-B-Q in Temple. 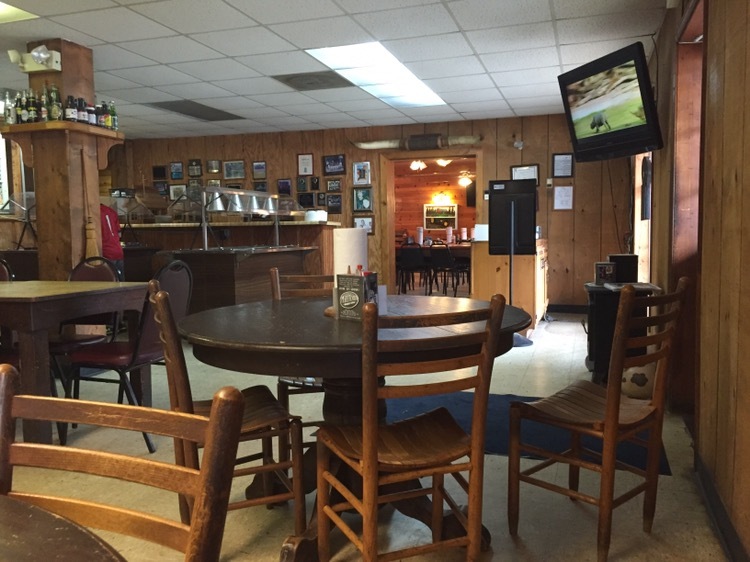 According to Trip Advisor, Jones Bar-B-Q is the seventh best restaurant in Temple – it’s just ahead of Wendy’s, Subway and McDonald’s. The bar, in Temple, does not appear to be particularly high. 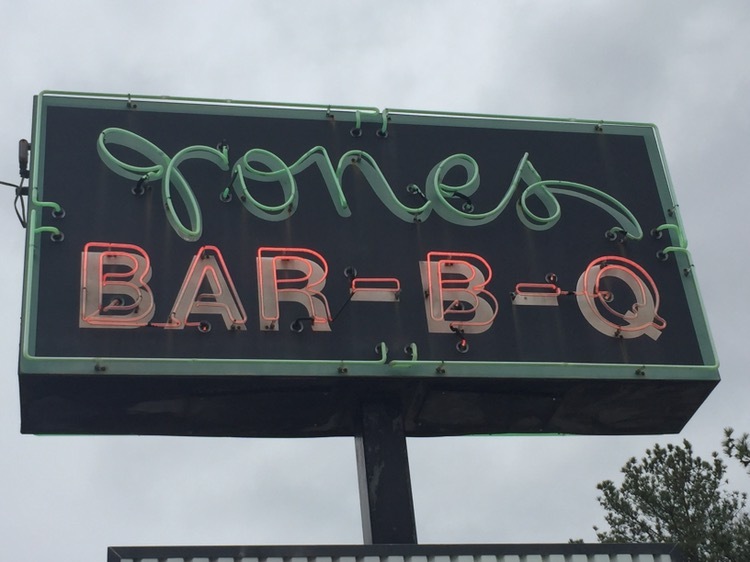 There is another Jones Bar-B-Q: Jones Bar-B-Q in Carrollton which is now owned by the same folks (David and Linda Hudgins, according to the menu). The Temple place (which has been there about thirty years and was founded by the Jones’ – Linda Hudgins’ parents) seems to be know more for their lunch buffet and the AYCE catfish that occurs. Apparently on times other than Saturday afternoon. It’s a simple looking place, with mismatched tables and two large rooms, with one room about half full when I arrived. 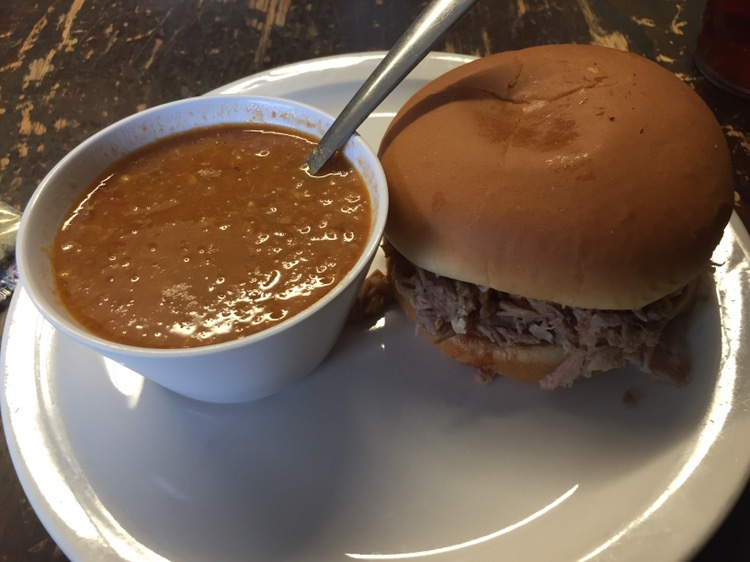 The menu is not complicated, so I chose a chopped pork sandwich and a cup of their Brunswick stew. The pork was not particularly smokey, but, being in West Georgia, they do have a similar orange sauce to that you find at other restaurants in the area. And one which Grant (over at Marie Let’s Eat) has explored pretty extensively – I’ve just eaten a good bit of it. This version was the spiciest that I’ve found (heavy on the cayenne) and added some much needed flavor to the sandwich. I actually would have purchased a bottle had it been prepped other than dipping some off the stove into a squeeze bottle.. The stew was bland – there’s not much else that you can say about it. Seventh may be about right. Thanks – I think I’ve corrected the post to correct the lineage and affiliation. Nothing much more disappointing than bad BBQ. Yep. Unless it’s coupled with bad service.